Mobile access control is the latest development in physical access security. It takes advantage of the increasingly mobile-first world by enabling mobile devices — including smartphones, tablets, and even wearables — to function as a credential. 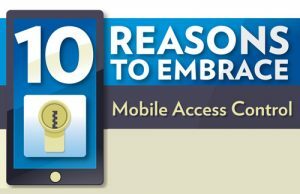 In addition to physical access, mobile access can also enable logical access to networks and other resources.